We launch our dream beneficent project Kraví hora for people. 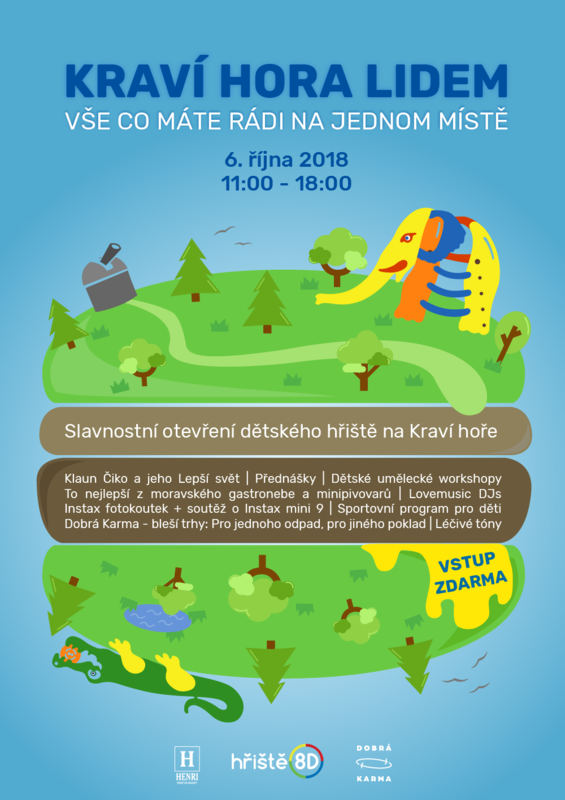 Its first phase is opening a brand-new public playground stationed on Kraví hora. During the celebratory opening you will enjoy lot of fun and a great program. Project Kraví hora for people will continue in other phases, in which we will open and start next fantastic projects. But we want to keep them as a secret for now.